Hazelmere Mantel constructed a top mantel and a surround mantel for us during our renovation. We were extremely pleased with both projects. During the planning stages, we found the business employees to be knowledgeable, helpful and courteous. The workman were efficient, skilled and highly professional. One of our fireplaces required the mantel to be installed before the stonework was applied, which the other fireplace needed the tile to be applied before the mantel. This meant scheduling for two installations. We greatly appreciated that Hazelmere Mantels went out of their way to accommodate us. After dealing with many different trades during our renovations, we now realize that companies that produce flawless products on schedule are hard to find. Hazelmere Mantels fills the bill! Without hesitation, we would highly recommend this company. Believe me, we are thoroughly enjoying the cozy moments we spend by our beautiful fireplaces thanks to Hazelmere Mantels. No regrets! Hazelmere Mantels supplied and installed our beautiful new mantel. It was custom built in a traditional Arts and Crafts Style. Hazelmere not only met our expectations they far exceeded them. 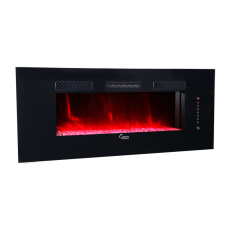 They were courteous and helpful during the design phase and reasonably priced as well. They delivered on time and on budget. The product quality was excellent and the installer was truly a professional craftsman. 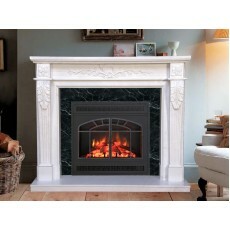 We would recommend Hazelmere Mantel without reservation. I couldn’t ask for better service or a more beautiful mantel. Hazelmere exceeded all of my expectations. The mantel arrived on time and in excellent condition. The price was very reasonable. I highly recommend them. 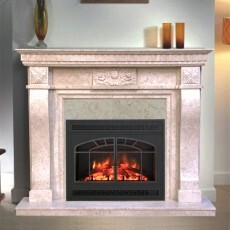 After searching for a new fireplace mantel in Western NY, my husband and I found Hazelmere on the web. The owner worked with us on our Arts & Crafts Style for the perfect fit, perfect stain color we wanted and safe delivery to our home. Hazelmere answered our every question during this experience. They are VERY professional, VERY friendly and wanted us to be happy! When our mantel arrived in New York we were amazed at how securely the mantel was packed and wrapped. I cried because the mantel was perfect! Hazelmere had all our hard work pay off in searching for the right craftsman! We will have this mantel for years to come and we smile every morning when we come down the stairs to see our beautiful mantel. We have gotten so many compliments on it. Feel comfortable knowing that you are working with a quality team when you choose Hazelmere! I contacted Hazelmere through their web site and they were qui ck to reply. They were very helpful and quickly understood exactly the look we were going for in our new build. We were under a very tight timeline and were ordering from out of province, which caused some concern. They assured me that their team could met our deadline and provide a quality product. They did just that. The package arrived and when I opened the crate I was so pleased we had done with this company. Our mantel is exactly as we had envisioned. They took our conversations and created a beautiful piece of art which we will use to display our treasures for years to come. I would recommend Hazelmere to anyone looking for quick polite knowledgeable service. They will not disappoint. Thank you again Hazelmere, for making us happy customers. Thank you Hazelmere and all involved for our very well made mantle. We love the finished colour, the design and all the proportions suit our house and the room, and the fitting was very well done. From our initial contact up to our final installation, we found that everyone in your company has provided impressive and first rate service to us. We will certainly send a picture when we finish the wall. Just a quick note to let you know that the mantel arrived safe and sound. It was just what I had hoped it would be, the design and craftsmanship is perfect. 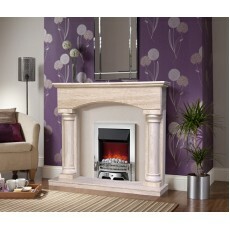 We are sitting and thoroughly enjoying our beautiful new mantel piece – it looks even better than the original photo! We are so very delighted. Your installer did an outstanding job, careful methodical and exact. Great team you have and are. Thanks again so very much for finally “framing” our fireplace. If you ever need customer references we would be more than happy to oblige. I just wanted to say thank you very much, we love our new mantel! What a huge difference it makes! 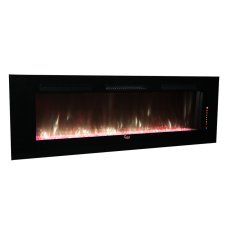 If we decide to put a mantel on our family room gas fireplace, I know who to contact! Just wanted to say that the mantel looks awesome!!! I’m so happy with it and how great it looks!!! Thank you guys for all your help. My mantel looks beautiful. I can’t believe I didn’t do this sooner. It really adds to the room. Thank you for the great work and to the fellow who installed it! WOW! It’s completely wonderful. All arrived safely and was installed yesterday. My contractor was quitet impressed with your craftsmanship and I your artistry. Thank you Hazelmere and all who had a hand in crafting our new mantle and surround. We are extremely happy with the results. The mantle was here when you said it would be and it was installed when you said it would be and at the price you quoted. The workmanship is perfect. Thanks again. We highly recommend you to everyone. My husband and I cannot thank you enough for the incredible work you did on our fireplace mantel!! 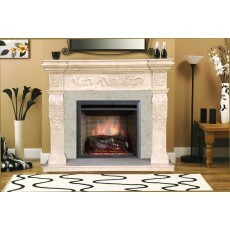 After searching for months at retail outlets in NY, we decided to search the internet for fireplace mantels. That’s where we found Hazelmere! 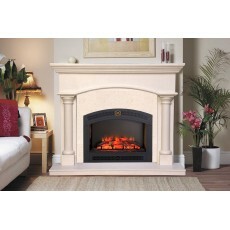 After picking out the style mantel we wanted, Hazelmere helped us make it “OUR DREAM MANTEL” ……. I waited in anticipation for the mantel to arrive at our home in Elma, NY. The piece arrived in a sturdy wooden crate and was bubble wrapped with impeccable care. After unwrapping the pieces, I “cried”. I couldn’t believe how perfect and beautiful it was. EXACTLY what we wanted!! I call Hazelmere and told them we were thrilled and to give “hugs” all around from me. 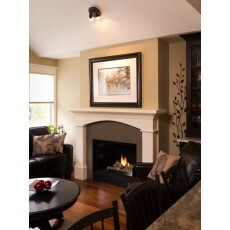 Each day we wake up and admire our gorgeous new fireplace mantel that is the centerpiece of our Family Room. It will be enjoyed for years to come. Thanks so much Hazelmere! YOU ARE THE BEST! We have received our mantle and I must tell you that it is just beautiful. I am so pleased with it and withy your service and expediting the shipment knowing that we were under such a tight deadline. You should be proud of your copany and the work that you do. We will enjoy the mantle for yers to come displaying it proudly in our great room. Once installed I will forward you pics. Once again, thank you very much to the Hazelmere Team. I wanted to let you know how happy we are with the mantel you made for us. It looks fabulous and the build quality was as good as we had hoped. I thought you might enjoy a picture. Thanks very much for all you help and for the fine craftsmanship. “Just a note that tomorrow’s episode features that beautiful mantle and book cases in West Van. The show starts at 10 pm on the W network and will then go into heavy rotation. The episode title is “Karin and Bruce"